. . . though not strictly Street Photography related (the canals do however lead to Street Photography locations), I have produced an ever growing series of videos, documenting both my change of life and my journeys around the canal system. The video below is my latest offering. All of my previous canal videos can be found in these YouTube Playlists here. Author Kevin ShelleyPosted on 07/07/2017 30/12/2017 Categories News, Videos9 Comments on My new life on the UK Canals . . . Author Kevin ShelleyPosted on 23/06/2017 28/06/2017 Categories Articles, Fuji, Photography, Reviews4 Comments on Fuji X100T – A Street Photography Review . . .
. . . The URBAN International Photo Awards 2017, an international stage for photographers, is now open for entries. Italian artist Maurizio Galimberti will be Jury President and a total prize fund of € 4,000 euros (€ 1300 euros to the winner), is up for grabs . . .
Submissions now open to the URBAN 2017 Photo Awards, international contest organized by Italian cultural association dotART, together with media partners Photographers.it and Sprea Fotografia. Now in its eighth edition, URBAN sees every year thousands of participating pictures and hundreds of participants from all over the world. It is an always growing international contest, one of the very few that goes “over the boundaries” of the Internet offering to photographers real visibility through dozens of international photo exhibitions. Author Kevin ShelleyPosted on 08/03/2017 24/06/2017 Categories Articles, NewsLeave a comment on URBAN International Photo Awards 2017, Now Open For Entries . . . Author Kevin ShelleyPosted on 20/01/2017 18/03/2017 Categories VideosLeave a comment on ‘The Street Photographer’ . . .
At least that’s how I imagine the average ‘Joe’ might regard someone shooting Street Photography with a TLR camera, such as the Mamiya C33. In all honesty I’ve never felt more comfortable photographing strangers and candid situations, than when using the Mamiya C33 TLR Medium Format camera. Admittedly the ‘outfit’, with it’s 135mm Sekor lens (90mm in 35mm terms) does weigh as much as a Carling 8-Pack (whatever one of those is). Fortunately this minor (?) handicap is utterly negated by the unorthodox (by modern standards) shooting style. Author Kevin ShelleyPosted on 27/06/2016 15/04/2017 Categories Articles, Film, Mamiya, Photography7 Comments on Chester Street Photography with the Mamiya C33 and Ilford FP4+ . . .
Ricoh WG-5 Rugged Street Photography Camera Review (Part 2) . . .
. . . continued from Part 1 . . .
It’s all well and good owning what many regard (or regarded) as the ultimate Street Photography camera (Leica M), but if you don’t use it for what it was intended, it becomes nothing more than an expensive piece of jewellery, or bling, or even an extravagance. More worryingly, outside of the relatively ‘clean’ environment of the street, the Leica M could be quickly ruined through dust and water contamination, or damaged from the slightest knock, etc. What I needed in reality was a camera that would do everything. A camera I could ‘throw’ into the cavernous pocket of my motorcycle jacket and not have to worry about it getting cold or dusty. A camera I could clip to the ‘day pack’ on the front of my Kayak and not worry about it getting wet (or god forbid submerged if I capsized), or a camera I could simply stow in the glovebox of the car. All of this whilst still being able to turn it’s hand to the occassional bout of street photography. Hence I narrowed my choice down to the Ricoh WG-5 GPS, an all weather, rugged, waterproof (to 14m), dustproof, shockproof, freezeproof and crushproof, 16 megapixel compact point and shoot camera, or as Ricoh prefer to simply describe it, ‘Adventure Proof’. Author Kevin ShelleyPosted on 19/06/2016 10/01/2017 Categories Articles, Photography, Reviews, RicohLeave a comment on Ricoh WG-5 Rugged Street Photography Camera Review (Part 2) . . . Author Kevin ShelleyPosted on 19/06/2016 10/01/2017 Categories Articles, Reviews, RicohLeave a comment on Ricoh WG-5 Rugged Street Photography Camera Review (Part 1) . . .
Morecambe Not Wise – Expired . . .
. . . To be completely honest and as far as I was concerned, photography was dead to me. Regular visitors to the Street Photography Blog will be all too aware of my eternal battle with ‘seasonal disappointment’, brought on when the days shorten and the sky turns an uninspirational shade of morbid-grey. In this frame of mind I would habitually ‘hibernate’ throughout each autumn and winter period, until one day the overcast horizon’s lift, that strange ‘light in the sky’ makes a much anticipated appearance, and it’s no longer necessary to wear five layers of clothing just to go shopping. This time round however, things felt oddly different. Author Kevin ShelleyPosted on 17/06/2016 15/04/2017 Categories Articles, Film, Mamiya, Photography4 Comments on Morecambe Not Wise – Expired . . . Author Kevin ShelleyPosted on 24/10/2015 21/12/2016 Categories Articles, Leica, Photography15 Comments on Mojo Falling – A Street Photographer’s Crisis of Faith . . .
A Late Street Photography Postcard from London . . .
It’s that ‘quiet time’ on the blog again. The London trip came and went, a good time was had and many favourite photographs were captured, using both the Leica M2 and M-E. Truth is however that before I knew it, my number-one pastime was becoming more of a ‘job’ (again and unpaid at that), with ‘appointments’ being made, promises promised and items for review provided. And what an absolute joy it’s been without the constant thought of ‘this has to be done’ and ‘must sort that out’ etc. Instead I’ve been able to completely forget about all of ‘that stuff’ and concentrate on other things instead, such as music and my first motorbike in 3 years – nice. So what about the pictures from London? Well for now I’d like to present what is for me, probably the finest photograph I’ve taken to date (in my opinion). Taken with the Leica M2, Voigtlander 35mm f/1.4 Classic lens, Ilford HP5+ and processed in a new (for me) developer, Tetenal Paranol S (review to come). Chow for now and enjoy. Author Kevin ShelleyPosted on 09/07/2015 Categories Articles, Film, Leica, Photography10 Comments on A Late Street Photography Postcard from London . . . Author Kevin ShelleyPosted on 30/05/2015 Categories Articles, News, Photography, Reviews, Website2 Comments on Short Reviews, London in June and How Much Money I Make . . .
Leica M Edition 60 – The Street Photography Review . . .
(Please be sure to see the end of this review for an important update).
. . . During the previous installment of this review, I got to know the M Edition 60 a little better and gained a clearer understanding of what it can offer photography today. Now in this, the final chapter, I took the Leica M Edition 60 out and onto the streets of Chester and Manchester, where I could properly put the camera through its paces . . .
. . . The brief was simple. Evaluate whether a digital camera can function as an everyday ‘shooter’, without a screen – just myself and the Leica M60 enjoying a relaxing stroll through the sights, sounds, smells and inhabitants of two popular, sprawling and rugged cities in the North West of England. How in fact is it possible to spend an entire two days shooting street photographs and using only a camera that provides just the bare minimum of options necessary to capture a picture – those being shutter speed, aperture, focusing and ISO sensitivity? 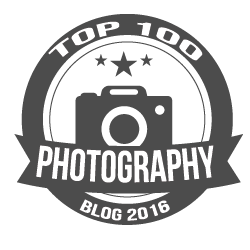 Author Kevin ShelleyPosted on 06/05/2015 21/12/2016 Categories Articles, Leica, Photography, Reviews19 Comments on Leica M Edition 60 – The Street Photography Review . . .
Leica M Edition 60 – Past Future . . .
. . . Previously in the article Leica M Edition 60 – A Design Concept (and deliberately avoiding the term ‘Part One’ if only in the interest of originality), I looked at the M60 from the point of view of Leica and in particular their designers and marketers, what ‘it is’ and what it means to Leica themselves. Now I’ll examine the camera, what it’s like to use (with the resultant photographs) and what it can offer the photographer of today . . .
. . . Writing camera reviews (or any written work for that matter), is rather like designing a camera itself. Typically and when beginning such a creative endeavor, it’s common practice for the Design Team (or writer) to draw inspiration and ideas from areas seemingly unconnected to the task at hand. This is often achieved by the creation of a ‘Mood Room’ – an area whereby objects or photographs are collected together and that in some way instill a particular feeling, or an emotion, or place the individual ‘inside’ the mind of the prospective customer. For example, someone wishing to create a vehicle that evokes a sense of the 1950’s may watch a movie from that period, such as ‘Rebel Without A Cause’. Another approach is to seek enlightenment from one’s own memories and experiences, and which is a technique I frequently use when piecing together the basic premise of an article, such as this one. In my case and through the course of the 3 or 4 days spent so far with the Leica M60, I was beginning to form a sense of what the camera ‘says’ to me as a photographer. During this period, two distinct and completely unrelated memories began to surface – my favourite old Television Set and Eric Clapton. Author Kevin ShelleyPosted on 27/04/2015 21/01/2017 Categories Articles, Leica, Photography, Reviews1 Comment on Leica M Edition 60 – Past Future . . . Author Kevin ShelleyPosted on 23/04/2015 21/01/2017 Categories Articles, Leica, Reviews7 Comments on Leica M Edition 60 – A Design Concept . . .
Another New eBook “The British – A Pictorial Guide for Other Nations” . . .
. . . Yep, following my visit to Bowness near Windermere in the Lake District and my experiences shooting Street with the Medium Format Mamiya C33 TLR, I have emerged from the fumes, flames, smoke and explosions of the Street Photography Blog laboratory, with another eBook. “The British – A Pictorial Guide for Other Nations” is a light-hearted and ‘tongue-in-cheek’ search for the elusive and stereotypical representations of how other nations (may possibly) view the British. As it turns out, there is actually a strong basis for these (possible) misconceptions. As usual, click eBooks to visit that page and download the eBook (PDF), or click the picture below. Author Kevin ShelleyPosted on 18/04/2015 21/12/2016 Categories eBooks, Film, Mamiya, News, PhotographyLeave a comment on Another New eBook “The British – A Pictorial Guide for Other Nations” . . . Medium Format Street Photography With A Mamiya TLR And Darkroom Excitement . . .
. . . If anyone was to tell you that ‘film is dead’, suggest to them that they place a post on Twitter and include the hashtags #Film #Photography. Leave to simmer for a few hours and if the number of favourites, enthusiastic responses and re-tweets they’ll receive are anything to go by, film is apparently continuing to grow in popularity – and I for one can understand why. Leaving aside the obvious attractions of its inherent image quality, the ‘feel’ and the limited number of exposures available (with the benefits this brings to your photography), there is also a level of anticipation and excitement when it comes to viewing your finished images, which is impossible to achieve with digital. (UPDATE : Unless you’re shooting the Leica M Edition 60 – My 3-Part review starting here). These unique qualities can be experienced whether you send your films away to be processed, or choose (as I do) to do the work yourself. However, it’s only in the darkroom that you’ll experience the full gamut of emotions. Take for example the last two days, one Mamiya C33 TLR and four rolls of ‘expired’ Ilford FP4 Medium Format film. It began a few days ago, when I accidentally tripped over my ancient (and beige) National Geographic canvas camera bag, poking out from under a table – “Ah the old Mamiya” I thought. Very shortly I’d pulled the camera from the bag and soon discovered there were also four rolls of unexposed black & white film in a front pocket. A quick once-over and several film-less test shots later confirmed everything was (somewhat surprisingly) in good order. The old grey-matter quickly got to work and in no time, a plan was hatched. Author Kevin ShelleyPosted on 06/04/2015 27/06/2017 Categories Articles, Film, Mamiya14 Comments on Medium Format Street Photography With A Mamiya TLR And Darkroom Excitement . . . Author Kevin ShelleyPosted on 29/03/2015 22/01/2017 Categories eBooks, Leica, News, PhotographyLeave a comment on My Latest eBook “Not Of The Street – Men With Beards” . . . Author Kevin ShelleyPosted on 26/03/2015 10/01/2017 Categories Articles, Leica, Photography, Reviews3 Comments on Leica X (Type 113) Review – Out Of My Comfort Zone . . . The Photography Show 2015 N.E.C. Birmingham (Part Three) . . . In my case, at the Photography Show, that’s so very true. But on this occasion, it’s all for the better – much better. I’d originally made a mental-plan of things to do, places to go and people to see. That was until today . . . Author Kevin ShelleyPosted on 23/03/2015 21/12/2016 Categories Leica, News, PhotographyLeave a comment on The Photography Show 2015 N.E.C. Birmingham (Part Three) . . . Author Kevin ShelleyPosted on 21/03/2015 Categories News, Photography, Reviews2 Comments on The Photography Show 2015 N.E.C. Birmingham (Part Two) . . .